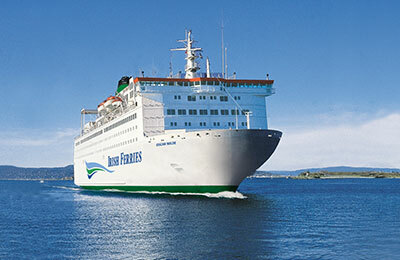 Irish Ferries is the largest of Irelands ferry operators. Over the past few years the company has invested over €450 million in its fleet and port facilities. Making it the most fleet on the Irish Sea. 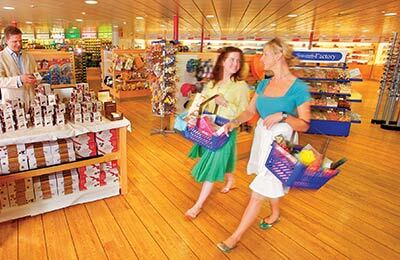 During 2001 it launched the World's largest Car Ferry sailing between Holyhead and Dublin sailing four times daily (The Ulysses). 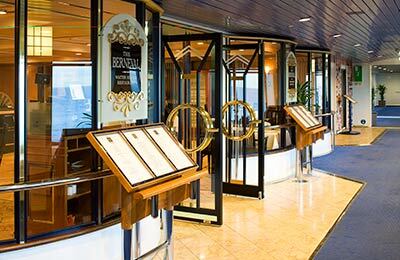 The Rossclare To Roscof and Dublin to Holyhead routes are serviced by four magnificent ships with bright and airy cabins. 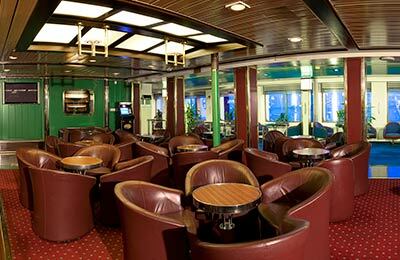 You can travel with Irish Ferries from to Dublin and choose between the standard 3hr 15mins crossing or the fast 1hr 49mins crossing. The Dublin/Holyhead - on the ferry "Ulysses" takes 3 hours 15 minutes, the trip from Dublin/Holyhead - on the "Dublin Swift" takes 1 hour 49 minutes, the routes to and from Rosslare/Pembroke on the "Isle of Inishmore" -takes roughly 3 hours 45 minutes. 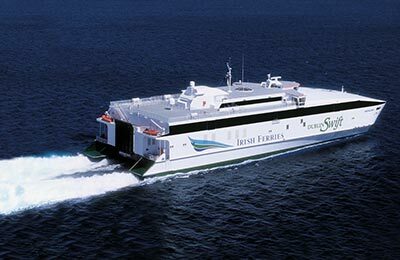 Irish ferry's operate the vessel "Oscar Wilde" which they are proud to claim as "the most luxurious ship ever to sail between Rosslare and France".